Ticket sales at this year's Edinburgh Fringe were down by almost 10% - the first fall in eight years. Bad weather, the poor global economy, competition from the Olympics and problems at the Fringe box office were all cited as factors in the downturn. The Fringe sold more than 1.5 million tickets for the third year running but that was down from 1.7 million in 2007. Fringe director Jon Morgan said he was delighted with the overall figures in what he had been a "difficult year". He also pointed to the increasing number of free fringe events which are not included in the final tally. Now the Fringe is over, an inquiry will begin into the box office problems which left many shows overbooked or described as sold out when they were not. Mr Morgan said: "At the start of the festival many were worried about the loss of venues, impact of the Olympics and the economy. "In a difficult year, with record rainfall and problems with ticketing, fringe-goers have come out in force and enjoyed the festival." Fringe 2008 featured 31,320 performances of 2,088 shows in 247 venues. An estimated 18,792 performers took to the stage. 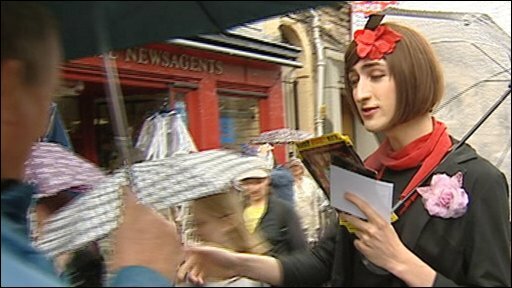 A total of 350 shows at Fringe 2008 were absolutely free, an increase of 46 on 2007.